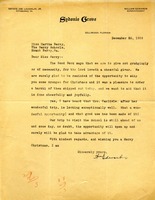 Miss Berry thanks Mr. Grant for the Christmas gift of delicious oranges and asks for him and his wife to visit as soon as possible. 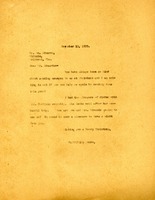 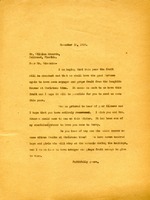 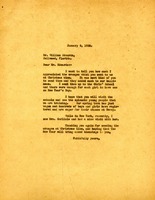 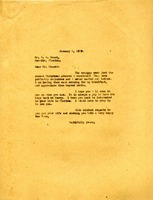 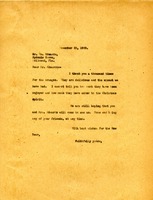 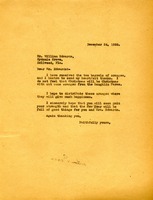 In this letter to Mr. Erwin Holt, Miss Berry requests that he write to Mr. Wicker and have them send over some oranges. 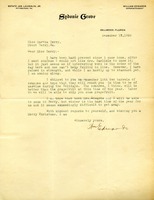 Martha Berry thanks Mr. Holt for the fruit he sent and lets him know she will be taking his advice. 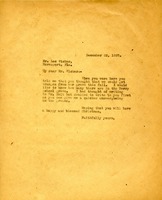 Edwards talks about giving Berry some oranges for Christmas and the Christian spirit in which they were sent. 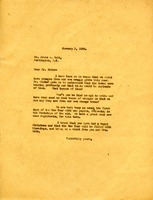 Martha Berry asks Mr. Edwards for oranges and remarks about a dinner with Mrs. Carlisle. 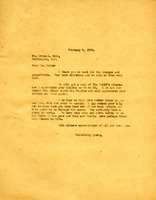 Miss Berry thanks Mr. Edwards for the oranges he sent as a Christmas gift. 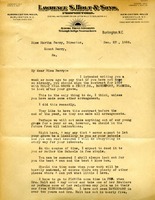 This is a letter to Miss Martha Berry from William Edwards, referring to sending oranges and grapefruit to Berry Schools.